You are able to join virtually the excitement of [replay for US] World Peace OM Meditation & Dharma Teaching - 8pm US. 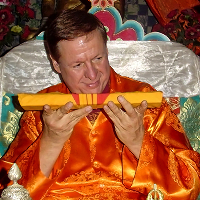 Watch a high quality LIVE video stream brought to you by Buddha Maitreya the Christ. Enjoy, interact and watch the live feed from any of your internet connected devices. On Mar 11, 2019 20:00 PDT to Mar 18, 2019 23:55 PDT you will come back here and watch the show LIVE! !